Walking in the Holy Spirit is the only way to overcome sin. Jesus was the only person on earth to actually walk in the spirit his whole life. For anyone else that would have been impossible. We know that as a child of God we are forgiven and saved by grace, praise God for that! We also know how hard it is to actually walk in the spirit. At first when we were new born Christians we ran to the Holy Spirit and followed hard after God, we walked in the spirit well, but as time goes by we get distracted and the flesh leads us away from following God like we did as new born Christians. Those first moments as a new born Christian are like rapture, so fresh and new. But in time we mature and the honeymoon is over. We continue to grow in grace but for some reason it just never seems to equal that first moment in Christ, and I know why. It is because the Holy Spirit is that rapture we felt, the first love, the fire, the hope, the life inside us. it is he who makes us alive and if we could continue to walk in him like we did as new born Christians the honeymoon would last forever. 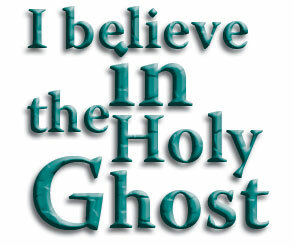 But it is very hard for the average Christian to understand what walking in the Holy Ghost is and how to do it. God showed me a couple of things that represent walking in the spirit. One was a sight I saw years ago on a back yard porch late a night in a small city called El Cajon, California. 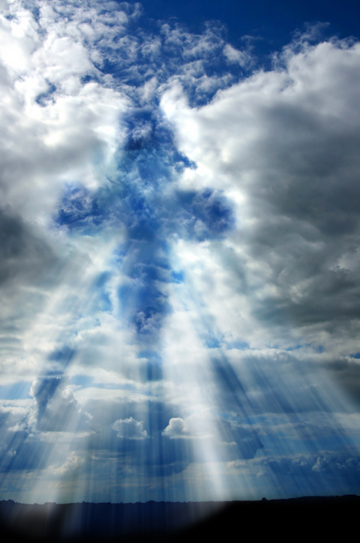 I asked God in prayer to show me an angel, I expected a winged angel to fly over the yard. Always expect something from God when you ask him, the more expectation that you have the more faith that you have. After awhile I saw a vision of a shooting star. I wondered at first why God would show me a vision of a simple shooting star and would find out why later. Moments after the vision I saw an impossible sight in the sky. I saw over a small mountain range a large ball of fire that snaked through the sky with a tail of fire and an image of a man inside the ball of flame with only the form of a man made out of light and it lasted only a split second. I saw it with my own eyes, I was sober and drug free and I know what I saw was impossible. The reason it was impossible was it was no vision. It was real, it lasted only a split second, you would have had to of been looking right at it to see it and if anyone else had seen it they would not have believed it or would have been told they were crazy or seeing things. And it defied any physical law known to man, an object as large as I saw to snake through the sky and be as large as it was and to vanish in a split second heading toward earth like a falling star would have impacted the earth and possibly destroyed the small city I was in. I know this because I had taken a college course years earlier in astronomy. And the law of inertia causes any meteor to continue in a straight line in space forever unless some force is applied to it like gravity etc. And for an object as large as I saw to have been physical and natural and to snake through the sky like it did would have been impossible. I understood the vision of the shooting star a small line of light flashing across the sky in a staight line and then vanishing, it was obeying the law of inertia. This object was an answer to prayer, God does answer prayer never doubt this for one moment, amen. This sight I saw was I believe God and the ball of fire was his spirit. I believe God wanted me to see an image that would help me to understand what walking in the spirit means. If we walk in the spirit we are like the image I saw, a man in a ball of fire moving. To walk in the spirit one cannot walk away from that ball of fire and expect it to follow them around like a puppy dog. God is not the follower but the leader, if you desire to be a child of God you must follow your father and go where he goes and do what he says. This is hard for the world, because a servant of God image is not an image that says I am great! I am powerful! I am a leader! etc. The world has a leader that does not follow God, he is the devil or Satan and he is now the present god of this world. The children of this world are of the devil and are children of the devil. 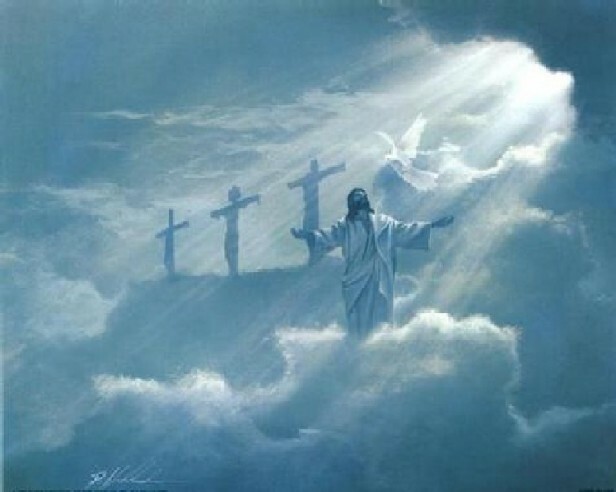 This is why Jesus left the earth, because for him to stay he would have had to destroy every wicked person on earth to set up his kingdom as the devil would have led the armies of the world to thier destruction by trying to overthrow Jesus and his earthly thrown. This is one of the reasons Satan will be bound in the bottomless pit during Christs 1000 year reign on earth. As long as Satan is on earth the whole world can be led astray and against Christ and his people. But not to get off subject, walking in the spirit is an act of obedience, a choice, one must decide to walk in that ball of fire or Holy Ghost, Gods Spirit. The world cannot walk in God or his spirit, only we can as Christians. At our spiritual births we are given a new spirit and the Holy Ghost. We must walk in Gods Spirit always to overcome temptation. Sin is the present god of this world. Sin is a spirit, and we see this spirit when God spoke to Cain about his offering. Cain was wicked and of the devil, a murderer. To kill ones own family member out of jealousy is a sin of low degree. An act of sin that has few equals. God said unto Cain that sin lays at the gate of ones heart, and if we open that gate sin comes into our hearts and unto sin will be our desire and sin will rule over us. When God spoke to Cain he also spoke to sin, for God said unto you shall be his desire and you shall rule over him. This proves that sin is a person a spirit. And this spirit is the worlds desire and this spirit rules the world. The spirit that rules over this present world is Satan, so the spirit of sin is the devil. He was the first to sin, so every sin to follow would be of him, not by him but of him. He tempted Adam and Eve to sin and so forth. He is the temptor. All sin is of the devil, because all sin can be traced back to that first sin in which Satan commited. And because Adam our first father sinned all of Adams children became sinners, and being sinners became worthy of hell fire. Unless Jesus came and died on a cross to pay for that sin that made all of us sinners we would have been sent to hell and God would have been just in doing so. It is hard to understand how God could condemn everyone born of Adam, unless we understand Adams sin and death and condemnation by sinning. We are still on the subject of walking in the spirit, but we must also understand sin and why we sin to fully understand why we must always walk in the spirit or we will be carried away by our sinful desires that we will have as long as sin remains in our flesh. We came from Adam, his seed in his loins is our origin. That seed was a part of him, for God to condemn Adam and not his seed, would be like saying only a part of Adam was guilty not the whole man. Sad to say we are of that man 100% before God saved us. Our spirits, souls and bodies were 100% of Adam before we were saved, and being 100% of Adam we were 100% condemned to hell. Some say that is not fair, refering to the scripture the sins of the fathers will not be imputed to the children and the childrens sins will not be imputed to the fathers etc. This is different because acts of sin are of a person and each act of sin will be judged and has a guilty party. adams act of sin was his own but because we were apart of his body at the time of the act we in part became guilty of that act of sin. And because God gave Adam all things that he had made during the creation, all things were apart of him and being apart of his body the whole creation became guilty of that one sin. Eves sin was different than that of Adams because she was of him, but not before him, so her sin would not have affected anyone or thing other than herself. The other thing that God showed me that is like walking in the spirit is Gods house, When we go to church and enter Gods house it is like entering into God himself or his spirit. His house represents his spirit and when we enter his spirit we are walking in his spirit. Walking in the spirit is like being in church 100% of the time spiritually. Going to church is an example of being saved and entering Gods spirit and if we stayed in church 100% of the time it would be an example of walking in the spirit 100% of the time. I hope this page will help you to walk in Gods spirit and as an help to you I have a few web links that go to websites I have found that have a good page on walking in Gods spirit, may God bless you, amen.